Kappan’s editor talks with a distinguished historian about the hidden political advocacy of Black educational leaders in the segregated South. KAPPAN: Your new book, The Lost Education of Horace Tate, describes a little known but critically important part of the struggle against school segregation in the decades leading up to Brown v. Board of Education. But this isn’t the first book you’ve written on education in the segregated South. To begin, can you tell us a bit about your earlier scholarly work and how it led you to this story? VANESSA SIDDLE WALKER: Let’s begin with 1989. Just after I finished graduate school, I was visiting a North Carolina community I knew well, and older people kept talking about the closure of the local school, which had started out as a segregated school for Black students and then continued to exist for another couple of decades as an integrated school. They kept telling me how great the school had been and how they hated to see it close. Well, I had studied the history of public education in graduate school, and I didn’t expect them to have such warm memories of a segregated black school from the 1950s and ’60s. Their comments led me to a simple research question: What are these people talking about? Answering that question became the focus of my first book, which told the story of the Caswell County Training School, from the 1930s through the 1960s, and how it managed to be successful at a time when Black educators and students faced so many obstacles and received so few resources from the school board and the state. Listening to the inside story from people who remembered it, and looking at the available historical records, I discovered that it was, in fact, a profound story of resilience in the face of school board oppression. The community supported the school financially, the administrators were highly professional, the school climate emphasized both institutional and interpersonal caring as well as attending to the state curriculum, and the teachers were strong advocates for their students. After its publication, I was surprised to find that whenever I gave a presentation about the book, there would always be a few older Black people in the audience who would tell me they had attended a school just like Caswell County Training School. I had thought the school was special, but I kept hearing stories about the same climate existing in other segregated schools over a long period of time. 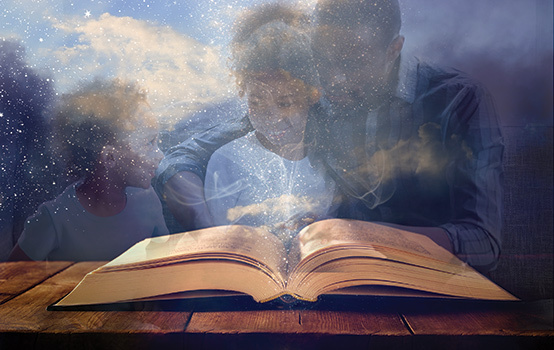 Although these schools were spread across hundreds of miles, they had similar curricula, provided similar instruction, and even used similar language to describe their mission and what they intended for Black children. The puzzlement that resulted from so many encounters led me to a new question: How did these schools come to be so similar? In my second book, then, I described the Black educational organizations and professional networks that existed for several decades across the segregated South. On the surface, these organizations looked like the professional associations that served White educators, but they differed in the strategies they used and, I think, in their efficacy. It’s truly amazing how widely they shared ideas about pedagogy, curriculum, leadership, and more, which helps explain why Black people all over the region had such similar experiences in Black segregated schools. KAPPAN: So who was Horace Tate, and how does his story expand upon your first two books? WALKER: Horace Tate was a teacher, school principal, and the last executive director of the Georgia Teachers and Educators Association, or GT&EA, which was affiliated with the National Educational Association (NEA) but distinct from the state’s all-White chapter, the Georgia Educational Association (GEA) — at least until 1970, when the two chapters were merged into one and the GT&EA ceased to exist. In his role with the GT&EA, Dr. Tate functioned as something like a governor for the Black population of Georgia. At the time, teachers had enormous respect in the community, but it was dangerous for them to speak out publicly against school inequality. As executive director of a professional organization, though, Dr. Tate couldn’t be fired by White officials, so he had the power to petition school boards to provide better educational resources, speak out on important issues, and otherwise promote the interests of Black teachers and parents. He met regularly with regional directors, he had his finger on the pulse of every school district, and he wielded an extraordinary amount of power and influence across Georgia. Importantly, a similar organizational structure, and similarly influential figures like Dr. Tate, existed in every Southern state in every generation. Black educators in the region were very well-organized. But I almost missed my chance to tell Dr. Tate’s story at all. After writing a book about the pedagogical climate of a Black school during segregation and another book about the professional networks that supported the development of such schools, I didn’t think there was more to say. At the time, I didn’t understand the political role those professional networks played in the civil rights movement. So even though people kept telling me I needed to meet Dr. Tate, I was skeptical and put off contacting him for a long time. When I finally reached out to him and began to listen to his recollections and to read through the massive amount of material he had saved, documenting the activities of Black educators from Reconstruction to 1970, I started to understand that his story fills in a major gap in the familiar narrative about the struggle against school segregation. KAPPAN: In the book, you write that “Black educators were quietly behind every movement for equality over a period of almost a hundred years.” How exactly did educational organizations like the GT&EA contribute? WALKER: Since the Supreme Court victory in Brown v. Board, we’ve rightfully applauded the incredible work of the NAACP and its legal team and the courageous parents who stepped forward and served as plaintiffs in important court cases. But Southern Black educators played an equally important role. In order for the NAACP’s lawyers to do what they do well — i.e., litigate — they needed to partner with regional leaders like Dr. Tate. For example, how did Thurgood Marshall and other attorneys know where to find those courageous parents to file lawsuits? Despite efforts to sustain local chapters over time, the NAACP didn’t have extensive networks in local Southern communities. However, the GT&EA and similar associations did have close connections with local communities through their intricate organizational structures. In most instances, those organizations were the ones who connected the lawyers to willing plaintiffs. Educators provided the glue. They brought the NAACP and local activists together — and then they quietly stepped into the background. In fact, they were so quiet that most of us, me included, have typically overlooked their contribution, and we’ve missed the lessons their work can teach us today. Educators provided the glue. They brought the NAACP and local activists together — and then they quietly stepped into the background. KAPPAN: Throughout the book, you highlight just how careful the GT&EA was in its strategic decisions about how and when to exert its influence and, especially, how to manage its relationship to the NAACP. And when you describe those decisions, you tend to use terms like “secret,” “covert,” “stealthy,” “hidden,” “masked,” and “invisible.” (To me, the book often reads like a spy novel.) Just how important was silence and secrecy to the work? WALKER: Fighting school segregation was indeed a covert operation for Black educators, both when it came to working with the NAACP and other within-state efforts to secure more resources for schools and districts. And that’s one reason we’ve never known the real story of people like Dr. Tate. Out of necessity, Southern educational associations like the GT&EA had a carefully orchestrated structure, almost like a military organization. Although members knew the advocacy agenda, only the people at the very top knew the full array of strategies. The secrecy was necessary, in part, because they worried that people would leak information and allow the governor, or local White-run school boards, to come up with counterstrategies. But mostly the secrecy was meant to protect people. It was pretty dangerous to be the public face of the movement. Just coming forward to petition for better school buildings, textbooks, transportation, smaller classes, and such could get an educator fired, harassed, or killed. Many of the leaders of these organizations were reluctant even to tell their spouses very much about the work. For example, Mrs. Virginia Tate reported that she learned a considerable amount of new information about her husband’s activities from reading the book. KAPPAN: As much as the book focuses on the hidden advocacy of Southern Black educators, it’s also a story about hidden documents, right? WALKER: Absolutely. The very first time I met with Dr. Tate, in Atlanta, he was a little reserved but quite gracious. He was an avid newspaper reader, and I think he had seen an article about my first book, which he liked because it showed that the history of Black Southern schools was about much more than the familiar narrative of oppression at the hands of White school boards. He liked that I had gone deeper and captured stories of educational excellence and resilience. When I did go to his home and was approved by Mrs. Tate to enter the basement, I was in research heaven. There in the basement were four file cabinets full of materials. Now I thought I had access to everything. But one day Dr. Tate opened a door I did not know existed and revealed another whole room, where he had stashed almost 300 hours of audio files. Over the next two years, as my doctoral students and I worked there in the basement, he kept unveiling new records of the GT&EA and its fight against segregation. Even on his deathbed he was emphatic that I should continue to go to the old teachers’ headquarters building where we first met and look for more documents. I didn’t see why that was necessary as I had already reviewed materials at the building, but he was disappointed, so I promised him I would go. And after he died, when I finally did go to the building, his daughter explained how to reach the destination he intended. She told me about the door behind the door in his office and the maze of steps, rooms, and corridors that led me to the attic of an old building that was the predecessor of the teachers’ headquarters building where we had first met. That was where he had stored the real archive. Everything he had shown me up to that point was just a sample. I realized that he had been very deliberate in choosing to give me a little of his story at a time, trying to determine whether I was the right storyteller, until finally deciding to trust all of the records to my review. My graduate students, colleagues, and I spent 18 years piecing them together, trying to make sense of this material, which was forcing me to rethink everything I thought I knew about segregated schools and political advocacy in the South. KAPPAN: Why was he so incredibly careful to hide the historical records? WALKER: Because so many records of Black life and education in the South have been destroyed. I’m not saying I can document an intentional effort to erase the record of Black schools, but the problem is so pervasive that the absence of documentation is suspicious, at least. So many materials are missing in the official archives: faculty lists, yearbooks, course schedules, graduation programs, athletic records, classroom activities . . . When I was writing my first book about Caswell County Training School, I went to the local school board to ask for the minutes from meetings in which the school had been discussed, in the 1920s and ’30s. These are supposed to be public records, but I was told they did not have them. As it turned out, my mother had worked for a time in the district office before she retired, and somebody recognized me as her daughter. “Oh, you’re talking about those files in the old transportation building,” the secretary said, in a reversal of her earlier statement. That was a godsend, since I relied heavily on those records. But in most cases, such records have been destroyed, or nobody knows where they are. When I later sent doctoral students to find documents, they often came away empty-handed. For instance, one of Dr. Tate’s old colleagues told me there was no longer any record of Dr. Tate’s activities in Greensboro, the town where he was principal for many years. KAPPAN: Much of the book has to do with the final days of the GT&EA, in the 1960s, when members were debating whether to merge with the all-White GEA. Integration had always been the organization’s goal, and the national association was pushing hard for the two state chapters to come together. But Dr. Tate was deeply concerned that the merger would amount to “second-class integration” — or “outer-gration,” as he put it. How distrustful was he of the GEA? WALKER: The NEA — at least the national members of the organization — had been an important ally, passing resolutions that called for equality, helping build progressive coalitions, and so on. On the other hand, the GEA’s membership included a lot of the White educators who were actively oppressing Black students. So Dr. Tate and others had good reason to be wary of the White organization. But in the late 1960s, and especially after Title I was introduced, in 1965, the NEA was desperate for its White and Black chapters to merge. Finally, the federal government had created a funding stream to help students in low-income communities. To take advantage of that money, though, school systems and associations had to integrate. Unless groups like the GT&EA and GEA merged, the Title I money would not be available to local schools, but because the NEA’s national leadership didn’t want to alienate Southern White members, it was a challenge to negotiate a truly fair merger. This created a big problem for Dr. Tate and a lot of other leaders in the South. They had spent decades creating these dynamic, highly effective organizations to fight for educational opportunity and democratic citizenship, and they were worried about losing their voice and influence on the education of Black children. Their members were strongly committed to integration, though, and in the end, the GT&EA membership voted by 3-to-1 to merge with the GEA. But, of course, despite efforts to negotiate a fair merger, the White association maintained greater organizational control. Still, the process was better in Georgia than in some other states, where the White organizations simply absorbed the Black ones. KAPPAN: Was the federal government helpful at this point? WALKER: Not much. Under the Johnson administration, the government had been a champion for a while, creating funding streams like Title I, which it tried to use as a lever to promote equity. By the late 1960s, though, things had changed. All the allies that Black leaders were counting on to implement desegregation were gone — Dr. King, too. And under President Nixon, the mandate was simply to get it done, not to ensure that it would be done justly. It didn’t take long for people like Dr. Tate to realize what was happening. When the federal government turned its back, Southern governors and school boards did whatever they wanted. Remember, the school boards were still 99% White. They understood that they would have to integrate (just like White Southerners understood they had to free the slaves at the end of the Civil War), but they did everything they could to subvert the intent of the Brown decision. What was supposed to benefit and protect Black children became an effort to preserve the “rights” of White children. Black educators knew it and howled about it, but who was listening? Of course, massive numbers of Black educators were fired. When schools were integrated, anywhere from 30,000-50,000 of them were let go in favor of White educators. Or if they kept their jobs, they were demoted and stripped of any real responsibility. Excellent, veteran Black teachers were assigned to be bus coordinators. Black principals were assigned to “schools” that had no students, just so the school board could say they had integrated the workforce. What was supposed to benefit and protect Black children became an effort to preserve the “rights” of White children. Black educators knew it and howled about it, but who was listening? KAPPAN: You’ve used the term desegregation compromise to describe the predicament facing leaders like Dr. Tate. Is this the compromise you’re referring to? Achieving integration but losing a generation of Black educators? WALKER: No, it’s more complicated than that. I like to explain it by way of the “three As”: advocacy, aspiration, and access. Long before the Brown decision, Black educators had achieved two of those three goals. With organizations like the GT&EA, they had created powerful platforms for advocacy, and thanks in large part to that organizational structure, they had created a large network of schools that cared for Black children and supported their aspirations for full citizenship. The whole idea was to prepare them for a world that didn’t exist yet, by teaching them not just to master academic content but also to use the tools of democracy — logic, persuasion, oratory . . . So the hope was that integration would allow them to add the third A to the first two. In addition to the advocacy and aspiration they had already created, they would also get access to all of the resources, equipment, ideas, and opportunities that had been denied to them. But in reality, when they got the third A, they lost the other two. That’s the “compromise” that allowed the country to preserve the language of desegregation while creating policies that diminished the hopes of Black educators for a fair desegregation. Although the implementation process provided access in some places, it also meant the loss of the teachers and administrators who had nurtured Black children’s aspirations. And to make it worse, it also meant the loss of the professional organizations that had been such successful advocates. The result was a form of desegregation that fell far short of the vision of those who hoped for full equality. Don’t get me wrong: The Brown decision was a huge victory, and we must continue the legal fight for access at a time when it is in retreat. But we should also recognize that Black educators lost their most effective advocacy organizations. You know, individual students can aspire, and individual teachers can nurture their aspirations, but to create a whole system of schools in which aspiration is the norm, you need institutions that can provide both educational and political leadership. That’s what made Dr. Tate so worried about the merger with the GEA. He knew integration would mean greater access, but he also knew that losing the association would mean a loss of power, voice, and advocacy for schools that are truly committed to meeting the aspirations of Black children. KAPPAN: If integration had gone the way Dr. Tate hoped, what would integrated schools look like? What would that actually mean in practice? WALKER: Let me answer that by giving you a personal example. When I began teaching, in 1980, I worked under a Black principal in a fully integrated high school in North Carolina — and by fully integrated I mean that both the students and faculty were mixed, about 50-50 White and Black. After I was hired, I heard from other Black teachers that our principal, Mr. J.A. Freeman, used to be the principal of the local Black school during segregation. That didn’t mean anything to me until much later, when I read David Cecelski’s 1994 book, Along Freedom Road, which explained that only three Black high school principals in the entire state of North Carolina had kept their jobs during integration and gone on to lead schools that enrolled White students. I didn’t know it at the time, but I had an incredibly rare opportunity, working under somebody who was part of that earlier generation of Black educational leaders. Looking back on the four years I taught high school, I now realize that I was lucky enough to experience the sort of school integration that people like Dr. Tate hoped to see everywhere. Under Mr. Freeman, the school had extraordinarily high expectations for all students and teachers. At faculty meetings, we had genuine debates about important issues — for example, I remember that when A Nation at Risk was published in 1983, we decided as a faculty to read it together and argue about its pros and cons. Every morning, teachers were expected to stand at the classroom door to greet our students. It was a warm, respectful, and intellectually rich climate. I remember also that Mr. Freeman was constantly exhorting us to provide more learning opportunities for the students. He wanted more activity, more chances for kids to get off campus and learn things outside the curriculum. For example, he told me that I had to reinvigorate the school’s English honors society, so I came up with this crazy idea to take the students to New York City to see the library and museums and go to serious theater. Well I was 23 at the time, and I didn’t know what I was doing, but Mr. Freeman said fine, do it. Same thing the next year when I said I wanted to take students to the World’s Fair in Tennessee, or the year after when I planned a trip to London. If it would help open up the world for students, he supported it. So that kind of school is what Dr. Tate and others meant when they talked about an inclusive vision for integration. And that’s why he was so alarmed by the way he saw things playing out. He knew it wouldn’t work, over time, just to move Black children into White schools, without also finding ways to extend the pedagogical traditions and professional networks that had supported them. You can’t just hand over the children to people who have no knowledge of those traditions and expect everyone to reach his or her highest potential. As an aside, about 10 years ago I went to visit the high school where I had taught. Mr. Freeman had long since retired (he died about two years ago), and it looked like any other struggling urban school. His vision had left with him. KAPPAN: In an otherwise quite positive review in the New York Review of Books, the historian Jonathan Zimmerman (a Kappan contributor, I should note) criticized you for dwelling too much on what was lost in the years after the Brown decision, without also describing what was gained. Is that a fair criticism? WALKER: Well, I have great respect for Jonathan. But I would push back a little, pointing out that my goal, as a historical ethnographer, is to represent the perspective of people who’ve largely been written out of history. So if I’ve focused too much on what was lost, it’s because that’s what I heard from the people who experienced this history. You know, Mrs. Tate once told me that in the years before GT&EA was merged into the GEA, her husband would get calls all the time, at all hours of the night, from educators who had been fired or demoted, and who were in great pain because they could see what was happening to their beloved schools, and they were tormented by their inability to do anything about it. So, yes, the book does reflect that sense of loss. If I had written about another period in our history, then perhaps I would have accentuated some positive aspects a bit more. KAPPAN: Still, are there positive lessons to be learned from this story? What did Dr. Tate and his colleagues know that today’s educators ought to understand and carry forward? WALKER: A main component is to understand the value of quiet collaboration and careful organizing. Until we get back to the sort of strategic work and networking practiced by groups like the GT&EA, it will be very hard to move forward with an agenda for equity in the schools. For example, we need to remind ourselves that even great attorneys like Thurgood Marshall and civil rights leaders like Dr. King didn’t do it on their own, without relying on a wealth of connections and support. We can’t just expect lawyers and public figures, working on their own, to achieve new victories for underserved children. Contrary to the familiar narrative about the civil rights era, that’s not how things played out. We need to understand that educators played a key role all along, creating the conditions for people like Marshall to succeed. KAPPAN: That brings me to my last question. . . Today, you are the president-elect of the AERA, one of the largest and most vibrant associations in American education. So, having studied the history of organizations like the GT&EA, what do you hope to bring to this one? WALKER: It’s very interesting to me that AERA split from the NEA in 1967, in the midst of the desegregation battles. In essence, the split created a group of researchers who are disconnected from our natural constituency: practicing educators. To me, that is illogical. Given this separation, how successful can we be in collaborating on important ideas about culturally responsive pedagogy, equity, professional development, and on and on? 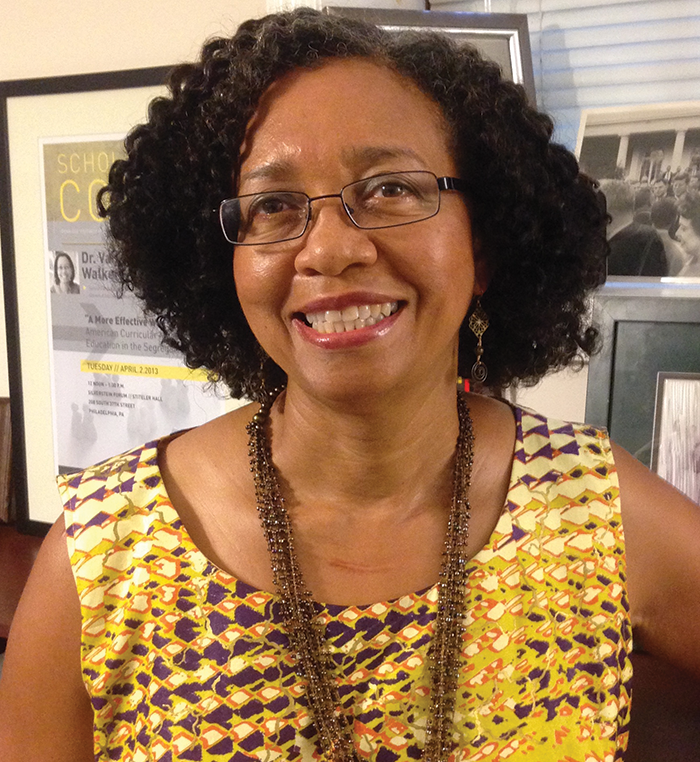 Vanessa Siddle Walker (vwalker@emory.edu) is the Samuel Candler Dobbs Professor of African American Educational Studies at Emory University in Atlanta, Ga., and the president-elect of the American Educational Research Association (AERA). Walker began her career as an English teacher at Cummings High School in Burlington, N.C., before moving into research. Her scholarship has earned her a number of awards, such as the Grawmeyer Award for Education and the AERA Early Career Award. Her books include Their Highest Potential: An African American School Community in the Segregated South (University of North Carolina Press, 1996), Hello Professor: A Black Principal and Professional Leadership in the Segregated South (University of North Carolina Press 2009), and The Lost Education of Horace Tate: Uncovering the Hidden Heroes Who Fought for Justice in Schools (The New Press, 2018). Walker received her B.A. from the University of North Carolina at Chapel Hill and her M.Ed. and Ed.D. from Harvard University. Citation: Heller, R. (2019). Telling the untold stories of school integration: An interview with Vanessa Siddle Walker. Phi Delta Kappan, 100  (5), 43-49.